ClueKeeper is a powerful new platform for creating and playing location-based clue hunts. Creators use our web app to create hunts and clues, which are distributed to players through our mobile app. What's a location-based clue hunt? 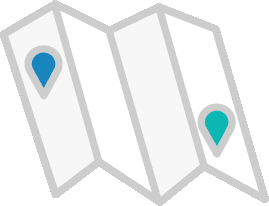 A location-based clue hunt is a real-world game in which the players solve clues that lead them from one location to the next. The clues can be straightforward questions, physical challenges, clever puzzles or riddles, or whatever else the hunt creator can imagine. A hunt might send players searching around their local park, through the best-kept secret spots of their city, or even across state lines. Whether you're a creator or a player, location-based clue hunts provide a great way to have fun and explore your surroundings in a new and exciting way! ClueKeeper is run by a team of life-long puzzle lovers with over 100 combined years of experience playing in and creating clue hunts. We're passionate about what we do! To get in touch, email us at admin@cluekeeper.com or call us at 1-844-99-CLUES (1-844-992-5837).